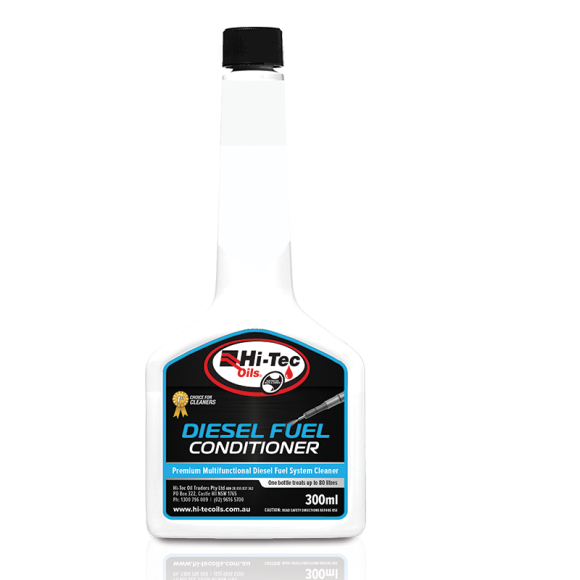 HI14-DFC-300 DFC DFC-300 DFC300 300ML DIESEL FUEL CONDITIONER Hi-Tec Diesel Fuel Conditioner is a premium multifunctional diesel fuel cleaner and performance booster, formulated to clean and lubricate diesel fuel systems, including common rail and direct injection systems. Hi-Tec Diesel Fuel Conditioner is a premium multifunctional diesel fuel cleaner and performance booster, formulated to clean and lubricate diesel fuel systems, including common rail and direct injection systems. Hi-Tec Diesel Fuel Conditioner employs corrosion inhibitors and detergents to help repair existing and prevent future damage to injectors from corrosion, deposits and algal growth.